Remington was founded in 1816 by Eliphalet Remington after he won second place in a competition using a flintlock rifle he designed and built. The rifle performed so admirably spectators immediately began clamoring for their own, and just like that Eliphalet was a gunsmith. For 200 years Remington has continued the innovative vision of its founder, and products like these Golden Saber rounds are clear evidence of that innovation. Remington has a well-deserved reputation for excellence; if you haven’t tried their ammunition, where have you been? If you carry your 9mm for self-defense, keep it loaded with high-quality defense rounds from an American legend. These are medium-weight 124 grain rounds. 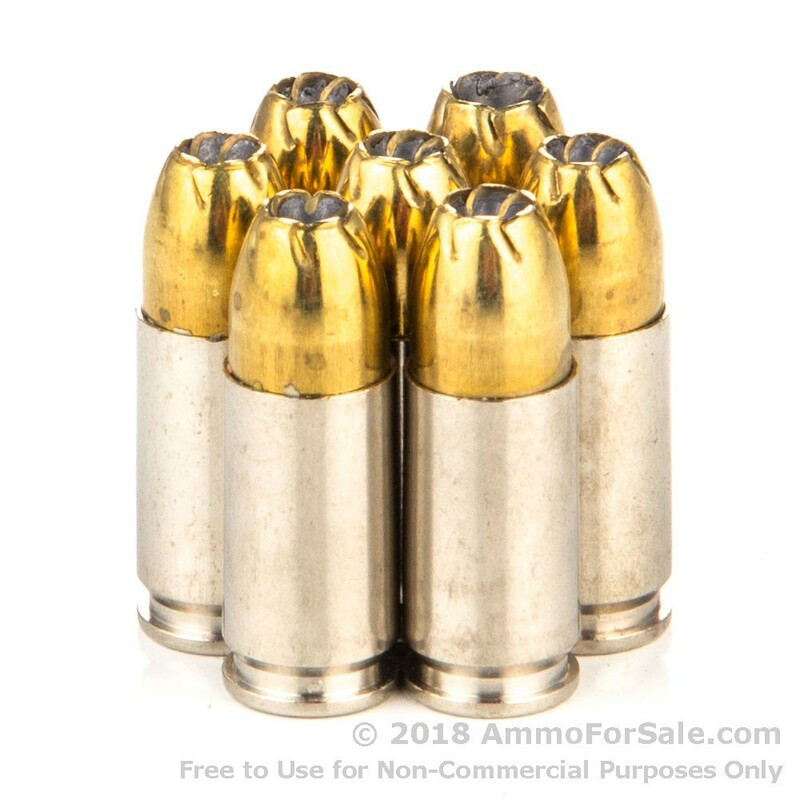 They’re high-performance Jacketed Hollow Points and begin to expand immediately upon impact; their jackets provide control over expansion, allowing the bullets to penetrate more deeply, making the wound channel created by this ammunition devastating. Jacketing also makes the bullets stronger overall and significantly decreases lead fouling in your gun’s barrel. 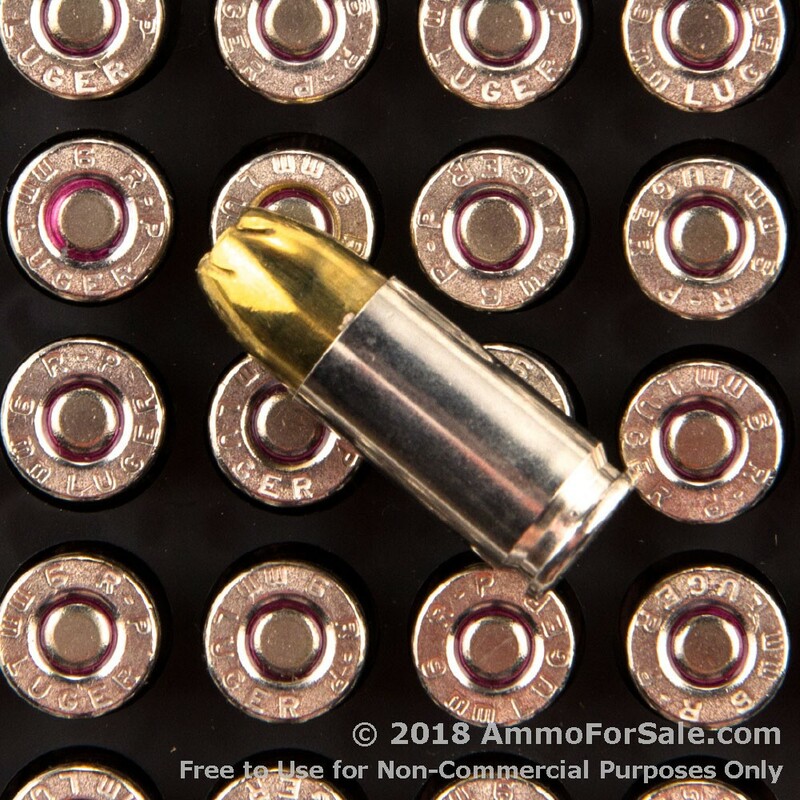 This ammunition leaves the barrel of your gun fast with a muzzle velocity of 1125 feet per second and impacts your target with a muzzle energy of 349 foot-pounds. Remington designed this specifically for self-defense, but remember, defense rounds have more recoil than target rounds, so you should spend time training with them to ensure your accuracy in a self-defense scenario is dead on. You get 500 defense rounds in this single box from Remington so you’ll have a good amount for realistic training and some left over to keep a few mags loaded for self-defense purposes. Remington manufactures ammunition at their plant in Lonoke, Arkansas; they have six plants throughout the South and east coast, and Lonoke is specifically designated for ammo. 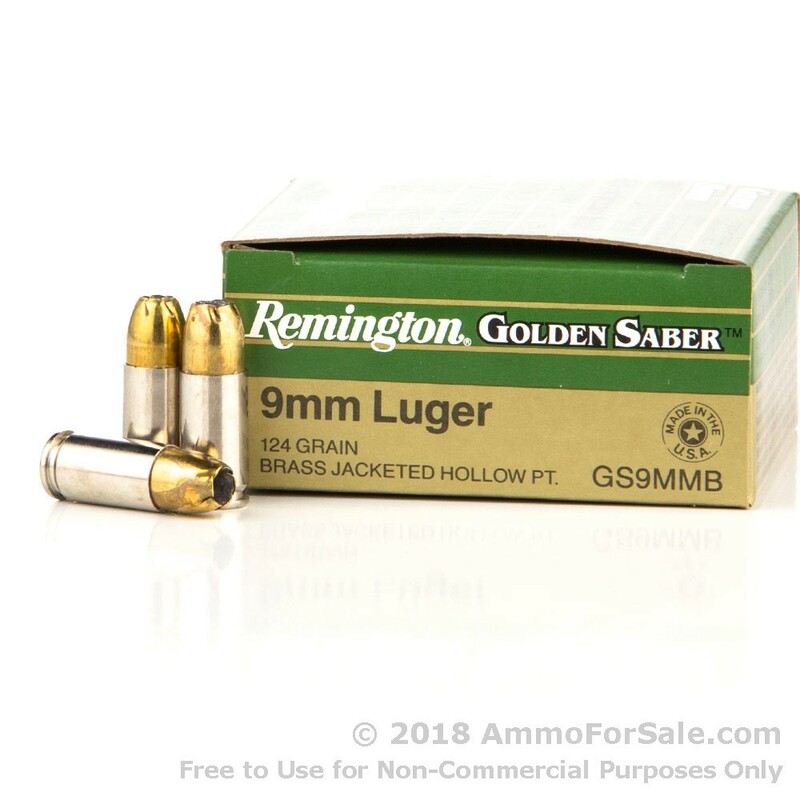 This is Remington’s Golden Saber ammunition; it’s designed for match-type accuracy, superior ballistic performance, and reliable mushrooming even at lower velocities. 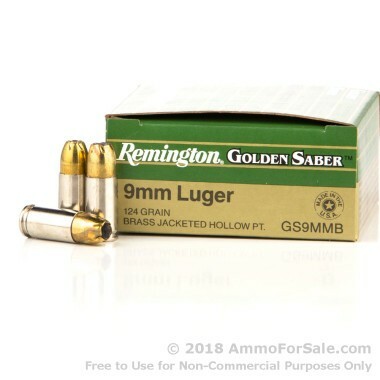 Protect yourself and the people you love with ammunition you can rely on by ordering your box of Golden Saber today. Golden Sabers 127 grain ammo is nice to have for self defense.